1. Crush candy cane using the flat side of a cleaver by pressing down hard on the cleaver. 2. Put the crushed candy cane and hot cocoa mix in your coffee pot. I only used 3/4 of the crushed candy cane. Add the candy cane a little at a time to desired taste. 3. 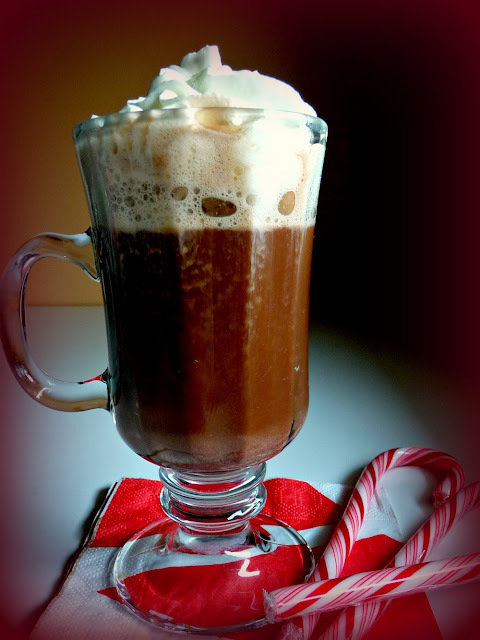 Brew one cup of coffee allowing the coffee to drip onto the crushed candy cane and hot cocoa mix. Let stand in the coffee maker, stirring occasionally until the candy cane is completely dissolved. Pour into coffee mug and top with whipped cream. Enjoy!